I assembled this little collection because some of the most common search terms used to find this little part of the internet involve the word 'FAIRY'. 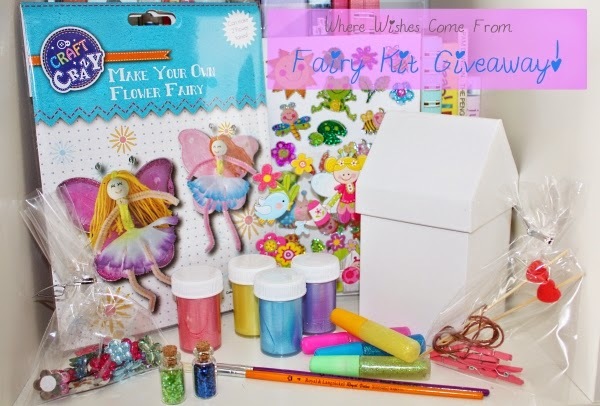 I'm assuming I'm not the only one with an interest in such things and that maybe a fairy-inspired kit would be well received in other homes too! Please feel free to enter, using the gadget below. Said gadget will draw a winner, at random, next Saturday night at 9pm. Best of luck!! My 7 year old would LOVE this! Fingers crossed! Great giveaway! Very cool! Look at you Miss Blog Queen : ) Who can resist anything fairy! My two girls would love this! They take after me for my love of sewing and crafts! This is super cute. My little cousin Tereza who's 5 would love this. She is always drawing pictures and making things so she'd be absolutely delighted if I gave this to her :) Thanks for the giveaway Sadhbh!